This rich and flavorful entree recipe is perfect served over hot rice for entertaining. The combination of spicy sausage, chicken, tomatoes, artichoke hearts, and olives is festive and exotic but uses foods you can easily find at any grocery store. And because it cooks in your slow cooker, you don't have to do a thing once the food is in the appliance cooking away. Chorizo is a Spanish sausage that is quite fatty, but very flavorful. Saute the onions and garlic in the drippings left in the pan after you have browned the chorizo. They will turn a beautiful yellow-orange color and soak up the flavor of the sausages. Serve this fabulous recipe over hot cooked brown rice. Pair it with a green salad tossed with feta cheese and some sliced porcini mushrooms, or our favorite pears and greens salad, along with a nice glass of Spanish or Portuguese red wine. In a medium saucepan, cook the chorizo until some of the fat has rendered. Set the chorizo aside. Cook the onions and garlic in the pan drippings until almost tender, about 4 minutes. Combine the sausage, onions, garlic, pan drippings, chicken, tomatoes, oregano, pepper, and tomato paste in a 4-quart crockpot; mix well. 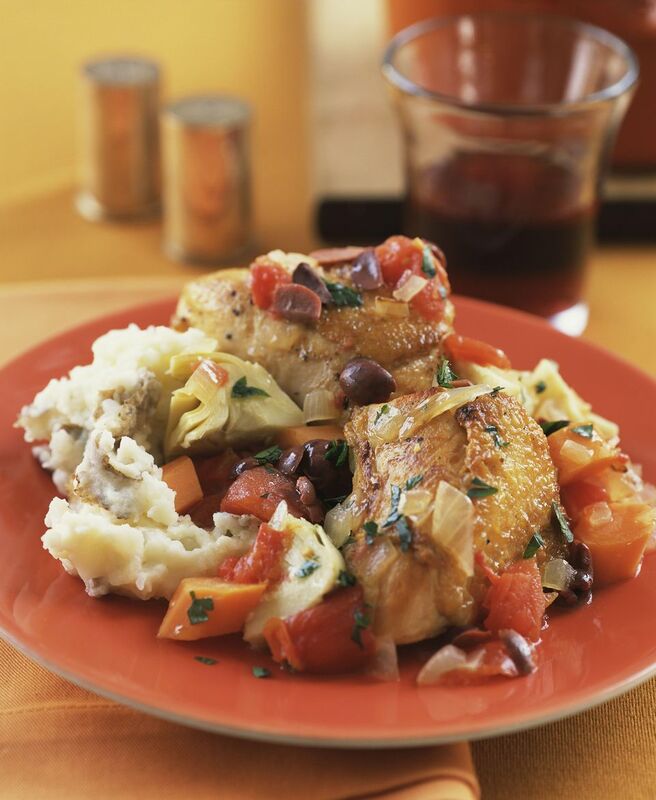 Cover the slow cooker and cook on low for 7 to 9 hours or until the chicken is thoroughly cooked to 165 F on a meat thermometer. Stir in the artichoke hearts and olives and cook on low for 10 to 15 minutes longer. Serve and enjoy over hot cooked rice or couscous. How Do You Make Spanish White Beans with Chorizo?